Hola everyone. Stopping by today to share my new pattern set which is finally ready to go. 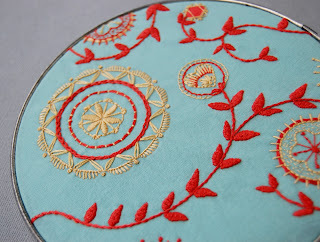 Take a peek at "Stitches Del Sol"
Something about the dead of Winter will inspire you to create something with the brightest of the bright colors, as many flowers as you can squeeze in and a nod to a location so warm and delightful that you almost ache to go there. In this case I was dreaming of Mexico. 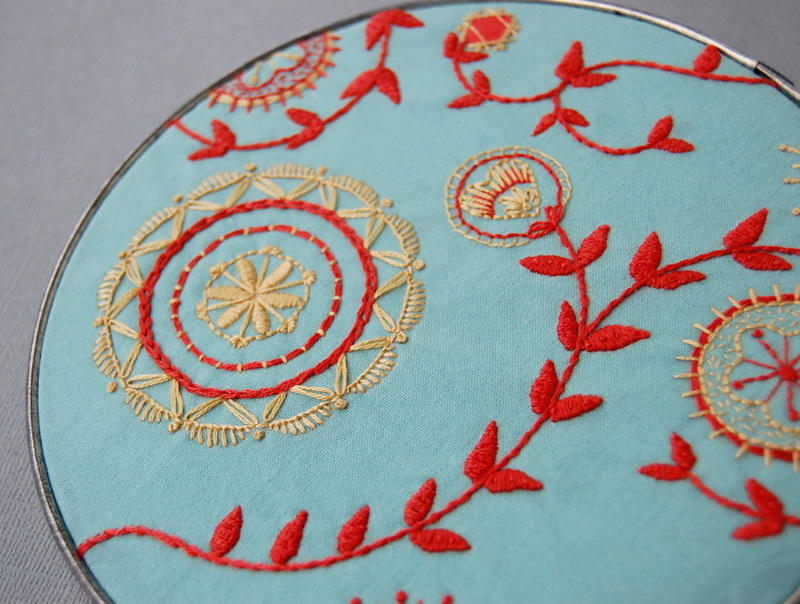 I did a lot of pouring over images of embroidered dresses, painted wooden animals and bold woven fabrics. It all confirmed a love that began way back in high school and college Spanish classes and still goes strong today. There is a little bit of everything here - a seamless surface pattern, a border design and three embellished animals. 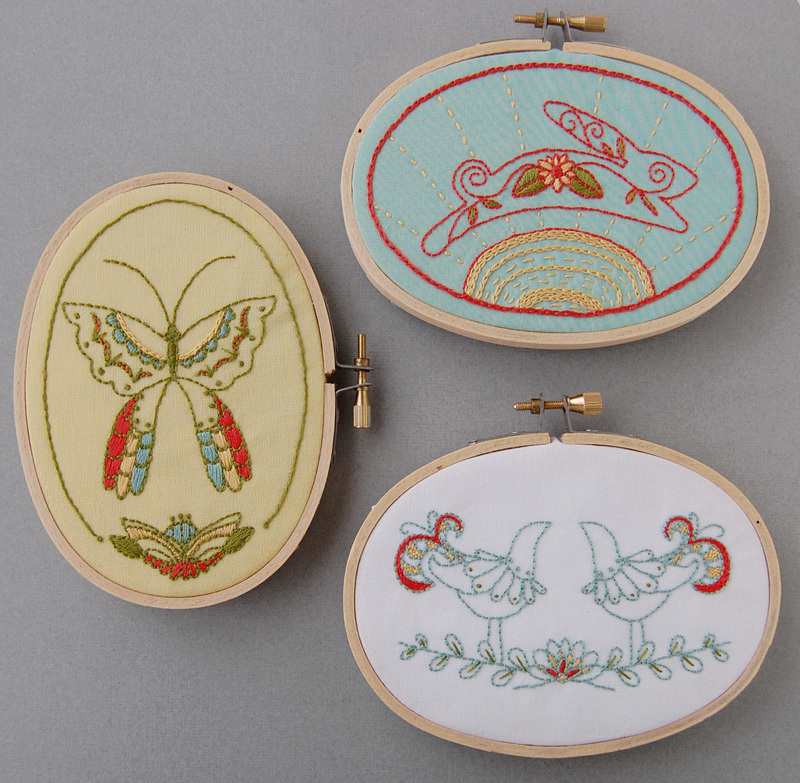 I loved stitching these up but honestly, I thought arthritis was creeping in as I was finishing up. We're talking a LOT of stitches. My hands are still in recovery - I think I need a vacation - to sunny Mexico! Such a pretty pattern set! 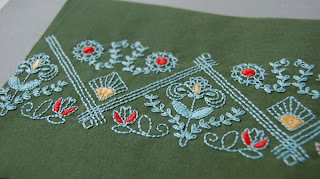 I love the inspirations you used, especially embroidered dresses. 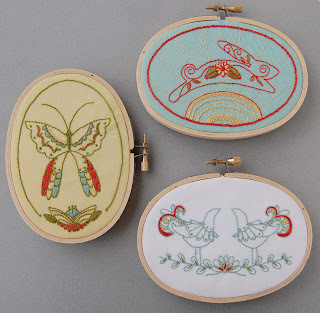 Your samples are always so beautifully-stitched, Corinne :-). Oh, Corinne! You've outdone yourself! I looooove the border design! These are beautiful! Your work is so wonderful... 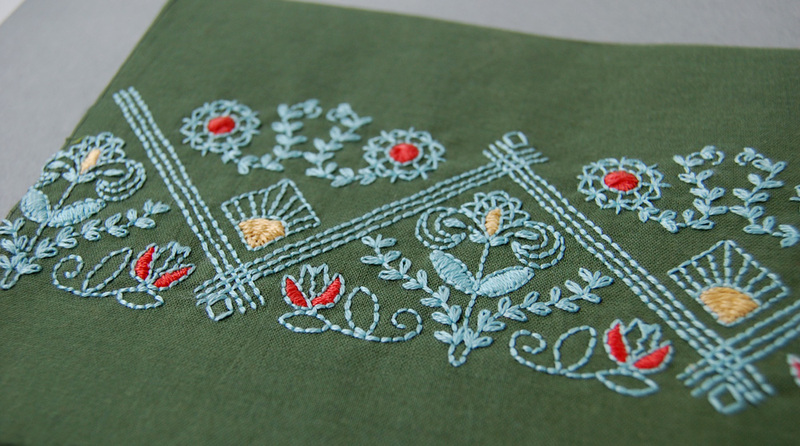 It reminds me of the embroidery work my mom used to do in Brazil, when we were growing up - so full of detail. Thanks! What a lovely set, specially the butterfly & birds!